Women’s Nationals results – Day 2! Four-time national champion Queen Underwood won her second fight with a stoppage over Darina Mimms yesterday. Four-time national champion Caroline Barry also won her bout against the 2010 Bantamweight National Champion Lauren Fisher (Dania, FL). This sets up a terrific quarter-final match between Underwood and Barry for the right to enter the semi-finals and an all important berth in the Olympic trials next year. Look for this fight to be about as exciting as it can get. In an exciting evening of boxing, the top female flyweights fought simultaneous close bouts. 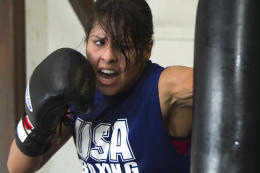 Five-time national champion Marlen Esparza (Houston, Texas) fought against the 2010 USA Boxing National Championships bronze medalist Alex Love (Monroe, Wash.). 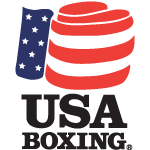 USA Boxing noted that “Love kept the bout close through the first two rounds, but Esparza extended her lead to a comfortable margin late and won a 13-7 final decision.” Esparza will go to fight the former bantamweight national champion Cynthia Moreno (Guadalupe, Ariz.) in the Wednesday night quarter-finals for a berth in the first-ever U.S. Olympic Team Trials for Women’s Boxing. These bouts are particularly heartbreaking for fighters such as Alex Love who have set their sites on fighting in the upcoming 2012 Olympics. All of the quarterfinal bouts will be contested on Wednesday in two sessions at noon and 6 p.m., with the victors moving on to the semifinals and those in Olympic weight classes earning berths in the U.S. Olympic Team Trials. « West v. Knight: Boxing the way it’s supposed to be!